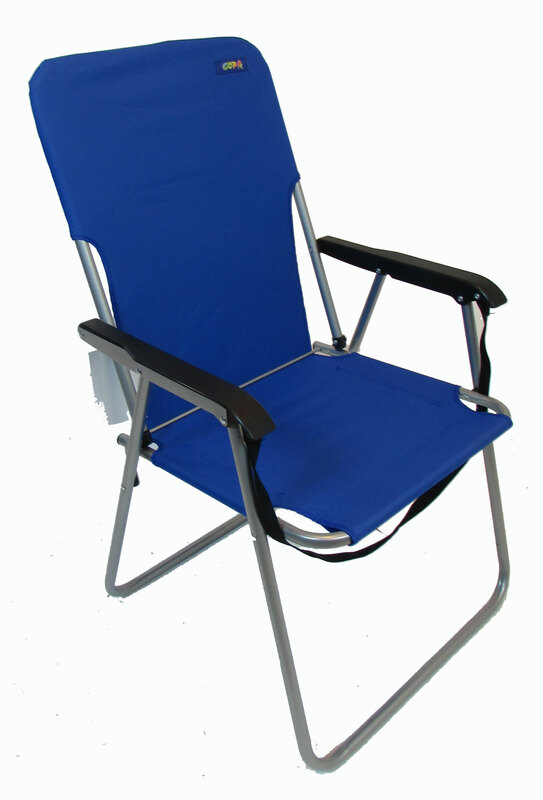 The perfect, basic, easy to carry beach chair. 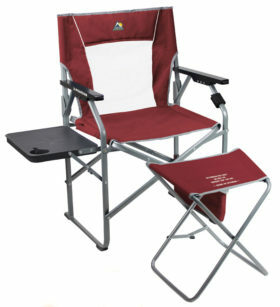 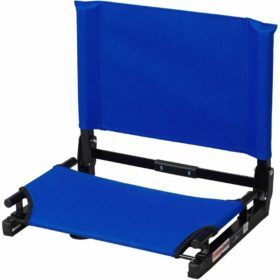 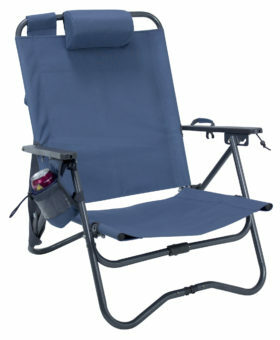 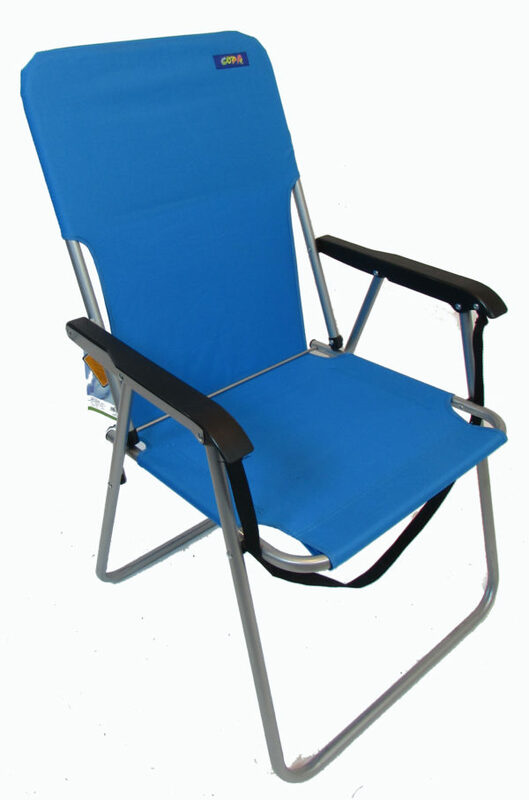 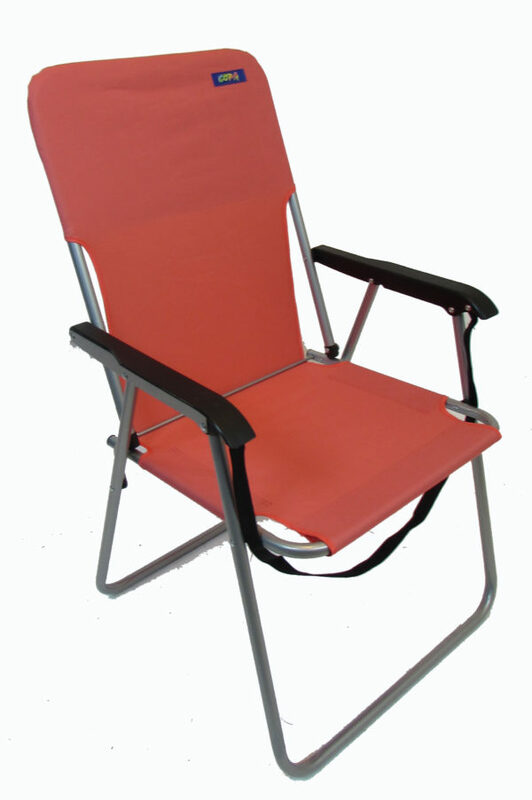 With its high back, durable fabric and molded plastic arms, it offers you offers of sitting comfort. 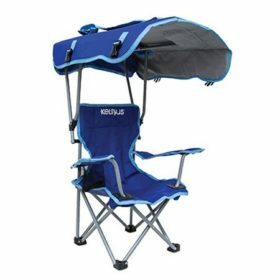 It also folds up flat for easy storage.